In this talk, Dale Thomas Vaughn, Co Founder of Gender Leadership Group covers the problem, the opportunities, and the solutions he sees in the corporate culture as related to gender equality and partnership. He shares interesting statistics, that even men are uncomfortable with existing masculinity in the corporate culture, what gender equality has in it for men, his experience and fresh perspectives as a millennial male ally. Jan Hutchins welcomes Dale to the stage at the Better Man Conference 2017 for his talk entitled Systemic Solutions for Corporate Culture Change. On last week's blog we shared a talk on Conquering Blame by Ed Gurowitz, Co Founder of the Gender Leadership Group. He discussed the victim-persecutor-rescuer dynamic and how it does not allow for inclusion or appreciation of differences. This week, we continue the series by sharing alternatives actions in support of inclusionary leadership. Today we share a talk by Ed entitled, Conquering Blame which took place at the Better Man Conference 2017. He discusses the victim-persecutor-rescuer dynamic and the alternative in support of inclusionary leadership. Dale Thomas Vaughn shares, "I've heard horrible stories too often. Anyone who is listening will hear our cul...ture tacitly allowing men to believe we are entitled to do, have, say, touch, demand whatever we please without consequence." This week we begin sharing 4 important key themes to inclusionary leadership as described by Ray Arata, the founder of the Better Man Conference , co-founder of the Gender Leadership Group, and the author of Wake Up, Man Up, Step Up. You can’t be an outside force and an ally to the equality movement. You have to be in it, with it, beside it… not leading it, not above it, not commenting on it. 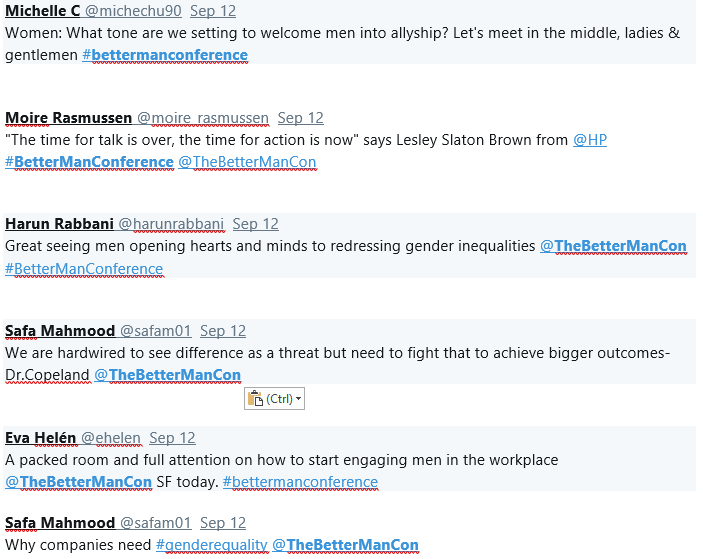 200+ leaders and many great diverse speakers and panelists, both men and women came together to be a part of the movement to engage men as inclusionary leaders at the Better Man Conference 2017 recently. 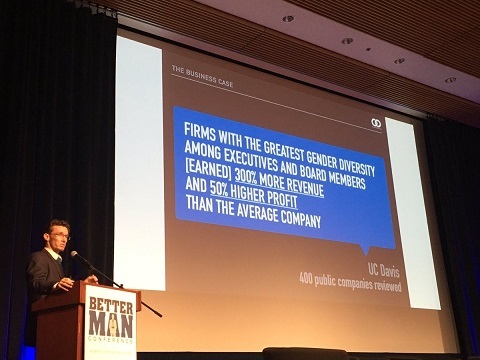 The Better Man Conference is a safe place for male leaders to enter into the inclusion conversation. To stand on that stage and look out at hundreds of men, willing to learn from one another—men who were challenged, during the course of the conference, to model the value they place on inclusion in public, and make it safe for others to do the same—was a powerful experience. As a woman and keynote speaker, I realized I had a certain role to play, as teacher, supporter, witness, and mentor. Even at the top of our game, we men find ourselves wanting more from life. This week we are sharing a podcast that covers vulnerability at home, work and more. 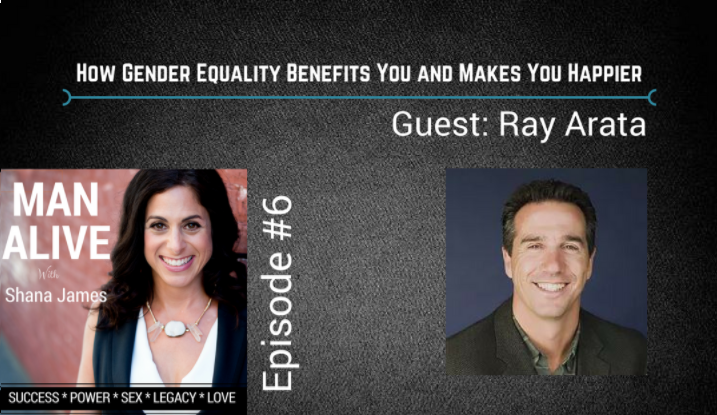 It's entitled, "How Gender Equality Benefits You and Makes You Happier" and it features Ray Arata, Co-Founder of Gender Leadership Group & Founder of the Better Man Conference interviewed by Shana James, Founder of Man Alive. How to grow and evolve into the man you want to be, without being driven by other's expectations or shame. What you stand to gain from gender inclusion and supporting women in your life. How to handle vulnerability, even in a corporate context. The benefits of starting to live and lead with your heart open. One surprising thing you can do that leads to other men trusting you more. Contact Ray@GenderLeadershipGroup.com to learn about GENDER PARTNERSHIP training, COACHING or CONSULTING for your organization. 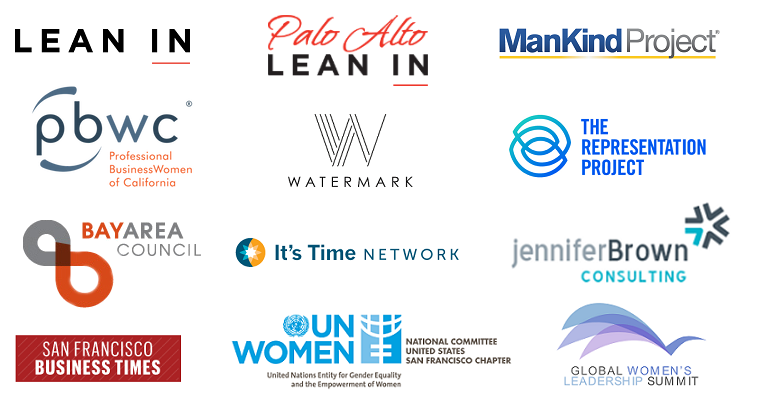 On behalf of Gender Leadership Group, the Better Man Conference, and all of our team members, THANK YOU from the bottom of our hearts to all of our attendees, speakers, sponsors, marketing partners, and supporters for being such an important part of the men's inclusionary leadership movement. TWITTER COMMENTS - Better Man Conf. Advancing Women Of Color, Should You Be Doing More? This Tuesday we will do a live Better Man Chat on Twitter entitled, Allies To People Of Color. Join us on Twitter at #BetterManChat Meantime, In Walking The Talk Pt. 3, Advancing Women Of Color, Should You Be Doing More? Rayona Sharpnack, Founder of The Institute For Women's Leadership indicates that for women of color it is "10 x harder" to advance in the corporate world than it is for white women. 33% of the officers at Genentech are women. Julius Prior, Head of Innovation, Diversity & Inclusion at Genentech addresses a number of topics in relation to advancing women of color including what the benefits of advancing women of color are, plans for advancing women of color, and what challenges they or other companies might face in advancing women of color. As you watch the video or read the transcript below, we invite you to consider if you or your company should be doing more to help advance women of color. Let's use our power, position and privilege to amplify under represented voices. The BMC is (less than) 2 weeks away. With that said I want to invite all of you to start thinking about the kind of inclusionary leader you want to be. I want to share with you my take on what it means to be an inclusionary leader as a white man of privilege. Gender Equality, Are You Asking The Right Questions? The "Real" Scoop On Inclusivity; We All Want The Same Thing. We are all human- and that is the invitation and reminder of this touching video on Inclusivity. While the pressure to be super human and not talk about how we feel lingers, my invitation is to let that go and to come from our hearts so we can create a true sense of belonging for ourselves and those around us. We may look different on the outside yet inside we have one major thing in common; our hearts and the capacity to come from the heart. Being human means we make mistakes and others may experience the impact of them. Being human means we can forgive and take accountability. Being human means we all want the SAME THING; to be seen, heard, valued, and respected for who we are. At the Better Man Conference in September, we will be hearing from a variety of people that represent marginalized groups and their stories . Th invitation is for anyone who seeks to be an ally, to listen from the heart and step into heart based allyship. DESIRE TO READ MORE? CHECK OUT THE INCLUSIONARY LEADERSHIP BLOG HERE. LESS THAN 100 TICKETS LEFT! GET YOUR TICKET(S) OR SEND A DELEGATION HERE. Less than 100 tickets left for Better Man Conference 2017! I'm excited to share an event agenda overview of Inclusionary Leadership, Engaging Men As Allies at the Better Man Conf. 2017 which is scheduled for September 12th. The real opportunity is for these leaders to embrace the healthy masculinity which subscribes to emotional literacy, accountability, and the heart centered leadership paradigm. It's time for these men to throw away what it means to be a "real man" and step on the path of becoming a better man for themselves , their companies, their relationships and their communities. It is these concepts and more that more than 200 men will step into at the Better Man Conference in San Francisco in September of 2017. Women are invited as well as there are benefits for their attendance too.